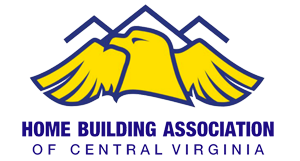 Presented and conducted by the Home Builders of Central Virginia with net proceeds supporting the HBACV community outreach for Local Children’s Charities. HBACV is extremely appreciative of the support you can offer. Your efforts for these children will go a long way and will not be forgotten. Your business is featured and prominently highlighted on media advertising and marketing points of publicity (radio, television, billboard, social, web and print, including 275 full color posters displayed throughout the area for five week.) Company name and color logo receives marquee position on more than 2,000 flyers and pre-event and post-event social media mentions, name and logo presence on the HBACV website and feature story in the HBACV Newsletter. Your company is provided a 20×20 booth area at the event and also receives 20 tickets to the event. Your business is featured and highlighted on media advertising and marketing points of publicity (radio, television, social, web and print, including 275 full color posters displayed throughout the area.) Company name and color logo appears on event flyers. Receive pre-event and post-event social media mentions, name and logo presence on the HBACV website and HBACV Newsletter. Company is provided 10 tickets to the event. You receive banner and signage at the Monster Ticket booth and Monster Truck Ride locate at the event. Your business is also highlighted on select media advertising and marketing points of publicity (radio, television, billboard, social, web and print, full color flyers.) Company name and color logo appears on selected event materials, receive pre-event and post-event social media mentions, name and logo presence on the HBACV website and HBACV Newsletter. Company is provided 8 tickets to the event. Your business is highlighted with company name / logo on all printed (10,000) tickets for the event. You also receive banner signage at the event the ticket booth and entrance areas. Company name and logo appears on selected event materials, pre-event and post-event social media mentions, name and logo presence on HBACV website and HBACV Newsletter. Company is provided 8 tickets to the event. Fire Truck Sponsors receive event-specific sponsored locations with signage. Your business is also highlighted on select media advertising and marketing points of publicity (radio, television, social, web and print, including 2,000 full color flyers distributed throughout the area.) Company name and color logo appears on selected event materials, receive pre-event and post-event social media mentions, name and logo presence on the HBACV website and HBACV Newsletter. Company is provided 8 tickets to the event. © 2018 Touch a Truck Lynchburg. Powered by Dabble Pro.